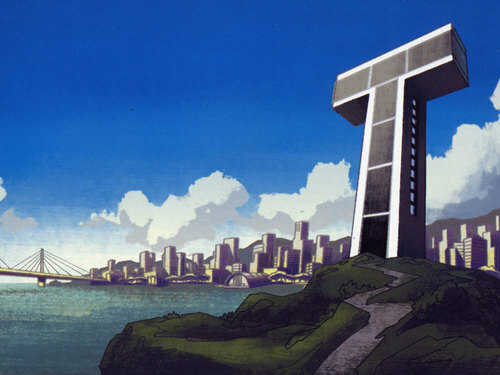 Teen Titans Tower. . HD Wallpaper and background images in the 틴 타이탄 club tagged: teen titan titans tower. This 틴 타이탄 wallpaper contains 비즈니스 지구, 다운 타운, and 도심지. There might also be 마천루, 스카이 스크 래퍼, 원자로, 핵 반응 기, 반응 기, and 차도.